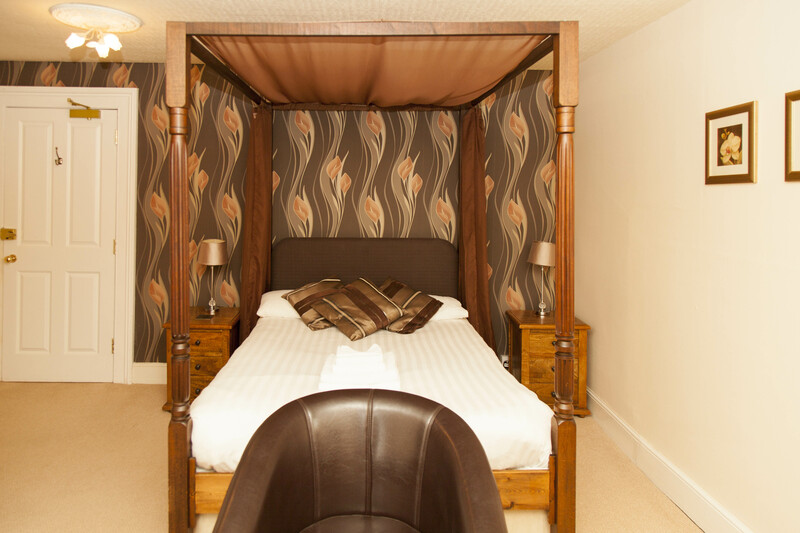 Lydford Tor has a double Four Poster bed it is in the original part of the hotel built in the Victorian times, it has a sash window and overlooks the front garden and pond. There is also 2 chairs in this room, and there is plenty of room for a Cot. It has a modern ensuite with a shower. Dogs are allowed in this room. All of our rooms are non-smoking rooms.